Federal regulators have effectively denied a request to reconsider their approval of the planned PennEast Pipeline, the agency’s critics say. The Federal Energy Regulatory Commission on Thursday issued a “tolling order,” which gives it more time to consider requests for a rehearing of its “Certificate of Public Convenience and Necessity” for the pipeline. But the order likely means that the agency will simply avoid making a decision on the requests for about six months and then summarily deny them, activists say. Jennifer Danis, an attorney who represents the New Jersey Conservation Foundation, said FERC has used a tolling order for 99 percent of requests for rehearing over the last eight years, and that it dismisses the requests after an average of 175 days. The data were used in a federal appeals court case against FERC over its approval of the Mountain Valley Pipeline in Virginia and West Virginia, Danis said. FERC spokeswoman Tamara Young-Allen did not dispute those numbers but could not confirm them. She said the agency does not compile data on the history of rehearing requests. She said FERC is allowed under the Natural Gas Act to provide “reasonable notice” through a tolling order if it needs more than 30 days to review appeals petitions. The agency can then either grant or deny a request in whole or in part, or set an evidentiary hearing, she said. Any party can appeal FERC’s eventual decision in federal courts, several of which have dismissed challenges to the agency’s use of tolling orders, she said. Still, opponents are now fighting the PennEast certificate, which was issued Jan. 19, in the expectation of mounting a new legal challenge to the FERC procedure. 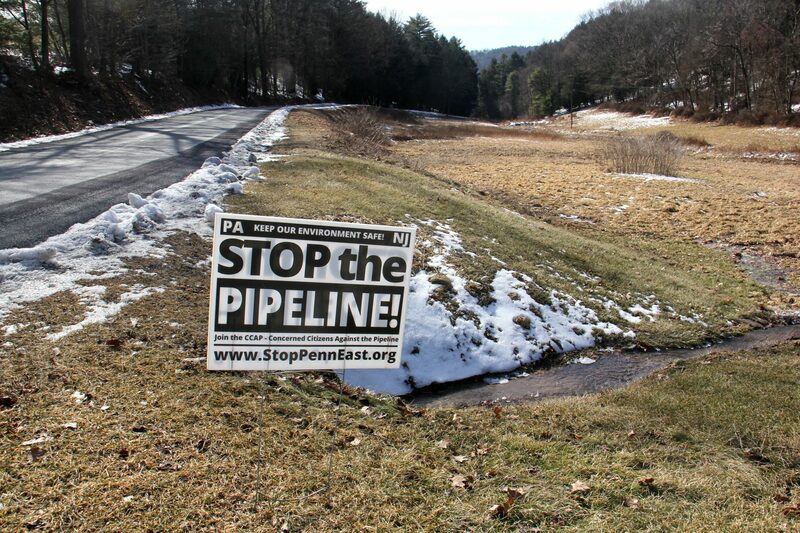 At least 19 organizations or individuals have asked FERC to stay the pipeline approval and rehear the case since PennEast started suing landowners for eminent domain to build the pipeline on their land, activists say. “FERC is playing fast and loose with its statutory authority, and we believe that the courts should step in to clarify that FERC can’t unilaterally extend its statutory deadline in an attempt to block judicial review,” Danis said. The entities requesting a rehearing include the New Jersey Attorney General and four other state agencies; three New Jersey municipalities, three New Jersey state lawmakers, a Pennsylvania township and activist groups in both states. In its order, the agency granted the rehearing requests “for the limited purpose of further consideration,” which means it can take extra time to consider the applications. In the PennEast case, appellants including Lower Saucon Township in Northampton County, Pa. argued that FERC’s environmental review violated the National Environmental Policy Act; that it should not have relied on PennEast’s contracts with its affiliates to determine whether there was a need for the pipeline; that it violated a federal law on historic preservation; and that it failed to evaluate alternatives. Requesters also include the environmental group Delaware Riverkeeper Network, whose head, Maya van Rossum, blasted FERC’s use of the tolling order. Van Rossum said that she has never known a rehearing request to succeed at FERC since DRN began monitoring the process in 2010. “The denial of the rehearing request is a foregone conclusion, it’s just a matter of when,” she said. In early February, the company began filing eminent domain suits in federal courts in Pennsylvania and New Jersey against about 180 landowners, mostly in New Jersey, who have refused its offers of compensation for building the pipeline on their land. A judge in New Jersey is due to hear the first batch of about 60 cases on April 5. The project still needs permits from a number of state and federal agencies, including New Jersey’s Department of Environmental Protection, which recently denied the company a water-quality permit for the second time, and the Delaware River Basin Commission, which has yet to begin its permitting process. PennEast spokeswoman Pat Kornick, asked whether the company will begin pre-construction work such as tree clearing before receiving all the necessary permits, said the company is working with various agencies and preparing plans following receipt of the FERC certificate. “PennEast anticipates beginning construction this year, though has not finalized the construction schedule yet,” she said. Kornick said no court date has yet been set to hear eminent domain cases in Pennsylvania. About two-thirds of the approximately 120-mile pipeline route is in Pennsylvania. If completed, the $1 billion pipeline will carry natural gas from Luzerne County, Pa. to Mercer County, NJ.